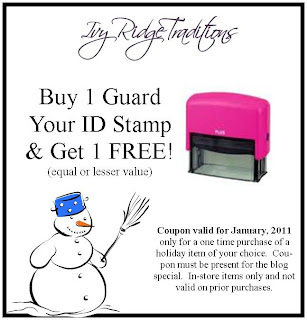 January Winter Savings with Our Blog Buddies Coupon! Thank you for following our blog! Print out the above coupon and use at one of our two Ivy Ridge Traditions locations. You are welcome to right click on the above image and save it in a Word document to save ink and for the ease of printing. Our Elkin Shop is NOW OPEN!